One of the challenges new franchisees face begins soon after the franchise agreement is signed: hiring and training employees. The success of each franchised unit depends on the quality and behavior of its employees. And it's hard to find a franchise concept that doesn't need employees to function. The challenge is especially acute at retail concepts, where front-line employees are the face of the brand, dealing directly with every customer every day. We're all familiar with the stereotypical fast food employee: a pimply faced, mumbling adolescent who has trouble making change for a quarter, much less making a quarter-pounder. Turning that bored, part-time teen into a productive employee with a positive attitude is a key ingredient for success. In fact, many experienced franchisees follow the maxim: "Hire for attitude, train for skills." A good attitude goes a long way in a team-oriented environment. Skills can be learned. Although negative stereotypes may be more glaringly apparent at fast food brands, training employees to be effective at customer service is a challenge for any franchise operator, especially new franchisees with little or no background in human resources. And to be fair, problems with employee behavior and attitude are evident at many businesses, from the person who answers the phone in a bored, I-don't-care voice to the surly demeanor of the handyman who fixes your leaky faucet and leaves a mess behind. In practice, everything an employee does makes an impression on each client or customer, creating satisfaction and loyalty or driving them to a competing brand. 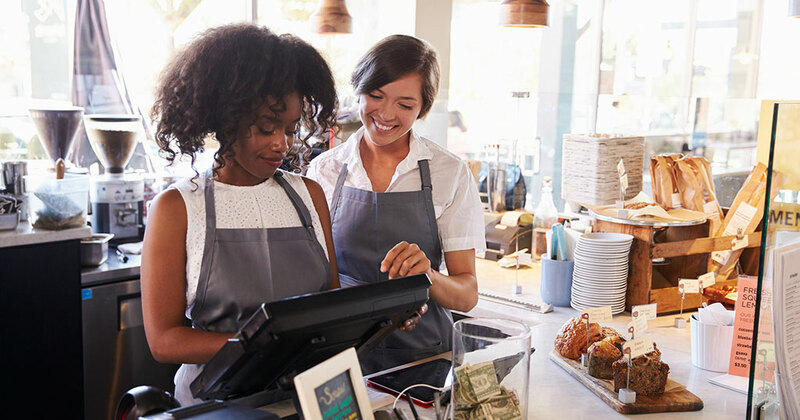 For franchisees, it's all about managing the "customer experience," and training employees in the ways to deliver it, in every transaction, every day. In other words, the success of your franchise business is directly related to the quality of your employees' behaviors and attitudes. Any franchisor truly interested in their franchisees' success will provide training in how to hire and train employees. During investigation and due diligence, franchise candidates should grill their potential franchisor about the training they will provide in this area. During the validation phase, candidates should ask the brand's franchisees about the quality of instruction they received on employee training when they started. Also ask about what problems they encountered, both expected and not, what they did to resolve them, and how helpful the franchisor was in providing support. Training a new employee begins with the initial employment interview. Another maxim from experienced franchisees and employment experts is: "Hire slowly, fire quickly." Taking the time to screen and interview new employees is crucial. The problem for many small-business owners, however, is that when it comes to hiring new employees, "We need them yesterday." Balancing the urgency of filling a position with finding high-quality employees is an ongoing challenge. Hire poorly and training is certain to become an issue down the road. If you hire for attitude, training for skills is something the franchisor provides in the operating manual, as well as in your own pre-opening training. Since different industries (as well as each brand within an industry) have unique training needs, it's best to rely on the guidance of the franchisor in how to best train your new employees to do their jobs and be a part of your team. Franchisors have been through this dozens, hundreds, or thousands of times and should have distilled best practices in how to train employees most effectively for their brand. Training is a delicate art. Employers not only must be adept at judging character, they also must comply with a long list of laws and regulations if they want to stay out of court. A minefield of potential legal trap doors can trip up even the best-intentioned employer. If you don't know what to ask, say, or do (and what not to) hire someone who does, contract with a third party, or bone up on employment law and avoid a world of trouble. Next: What successful franchisees have to say about training employees.